Irene Colzi, born in August 1987 in Florence, graduated with a degree in Economics from Florence University and is a professional blogger; she founded her blog Irene’s Closet in 2009. Irene started her blog (one of the first of its kind in Italy) in October 2009, while she was working on her degree thesis. The blog is a place where she can display her love for fashion and also her everlasting passion for communication, writing and the web. The day after she graduated, in February 2010, Irene attended Milan Fashion Week as a special guest and contributor for DonnaModerna.com and since then her blog has become on of the most important in Italy and soon became her full-time profession. Irene then became one of the faces for the publicity campaign for OVS INDUSTRY for the Winter 2010-20122 season, representing the “Bloggers” category, which was photographed by Scott Schuman. She was also the official blogger for DonnerModerna.com during Milan Fashion Week in February 2010, September 2010 and February 2011. Between April and June 2011, Irene created an insider-tour for the Italian fashion magazine TU Style, and together with a small team she acted as the official blogger for a street style photography project for several major Italian cities, which was followed by her first experience as a stylist for a fashion brand: the styling for the Fall/Winter 2011-2012 campaign for Westrags in Porto (Portogallo). In 2012 she worked with Samsung on the production of a promotional video for the launch of the new Galaxy Nexus phone and for the launch party hosted by Excelsior Milano, and was a guest of Luisa Via Roma for the Stylelab with international bloggers, and she participated in the launch project of the new Twizy Renault in Bologna with a video of the test drive with an Italian television character. Following this, Irene was invited to be a judge for the election of the online testimonial of the brand TOY G; a judge in the Young Talent category for Wella during the Wella Trend Vision Awards Italia 2012; and she was the only blogger in the world to be invited to Madrid in 2012 to be a reporter for the final of the Wella Trend Vision Awards. Irene also gave a speech during a lecture on “Web Marketing” at the esteemed Polimoda Fashion School in Florence. She has travelled to New York for collaborations with Kerastase, to Madrid for Aristocrazy, to Barcelona for Pronovias and to London for ASOS. She launched the tour called “A Touch of Pink” for Coccinelle (around the stores in Milan, Forte dei Marmi, and Taormina), the “Christmas Tour” with Silvian Heach (around the stores in Milan, Turin, Reggio Emilia, Genoa and Rome), and the “Denim” tour for Guess (around the stores in Milan, Turin, Rome and Florence). Irene was a guest of Silvian Heach at the Vogue Fashion Night Out in Milan, and of Fornarina together with Melissa Satta for the Vogue Fashion Night Out in both Rome and Florence, and for the opening of the store “The Fifth Season by Roberto Coin” in Rome. In 2013, Irene was a guest of Christian Dior in Paris for the launch of the new Dior Addict collection in January 2013 and also in December 2014 for the Miss Dior show, along with some of the most famous bloggers in Europe. She returned to Paris for work with Prada and Printemps department store, to Geneva for work with Swarovski, in the heart of Tuscany for work with Salvatore Ferragamo and for the Il Borro estate, to Barcelona for work with Pronovia and for Stradivarius, to Ibiza and Formentera with Fabi, to Kiev with Obrani, to Belgium for the Institute of Tourism of Anversa, to Provence for Red Soul together with other international bloggers, and finally to Monaco for the new Stylight community. The second half of the year signalled the start of an exciting new project for Irene – placements with Gucci. Irene was the official blogger for the grand opening of the new Bershka store in Bologna, thus continuing her collaboration with the Inditex group, and was a guest of Motivi during the Vogue Fashion Night Out together with Giorgia Palmas and lastly was the special guest of Emilio Pucci for the Journées Particulières. In 2013, Irene collaborated with several beauty brands including Chloé Parfum, Valentino Parfum, and Clarins, and strengthened her collaboration with Dior and Wella. For the technology sector, Irene worked with CANON for the launch of the new PowerShotN model, with Samsung for GalexyCamera, Samsung Galaxy S4, Samsung Galaxy S4 Zoom, and with Windows Phone and Nokia during Milan Fashion Week in February 2013. In 2014 Irene was invited to the Sanremo Festival 2014 as an ambassador for Limoni and La Gardenia (with the report “ Vota il look by Irene” for Panorama.it) and she was been chosen for the project Touche Eclat by Yves Saint Laurent (repeated in October for the Black Opium and Teint Encre de Peau campaigns). Irene has been a brand ambassador for the Brera Collection 2014 by The Bridge, and she also featured in the digital campaign for P.a.r.o.s.h. Fall/Winter 2014-2015 and Katy Rocks’ digital campaign for J&C JackyCeline for Fall/Winter 2015, together with other figures from the fashion world. On 22th April Irene was interviewed live on Radio Deejay and on Deejay TV, for the show “Deejay chiama Italia”. The first half of 2014 saw an upgrade of the topics covered by Irene’s Closet blog, moving towards a wider lifestyle-type blog, covering all aspects of life, including travel, home decor and food. Worthy of mention is also her partnership with North Australia Tourism Agency for promoting North Australia in Italy and the cooperation with the Luxury Hotel chains Falkensteiner (Austria) and Grand Hotel Excelsior Vittoria (Sorrento). Some other projects she has been involved with include: acting as an adviser and personal shopper for Hoss Intropia in Rome and for Kiabi in Vicenza; her role as a special guest at many events such as the Pull & Bear store opening in Corso Vittorio Emanuele, Milan with Fedez; the Benetton store opening in Piazza Duomo, Milan; the Aperol Happening event in Naples and she was a special guest with Davide Frizzi at the Dior Beauty Event in Piazza di Spagna, Rome. Irene also attended the 71st Venice International Film Festival for GHD and later she was at Miss Italia and the X-Factor for Lozza. During Milan Fashion Week, Irene worked with Coca Cola Light as a brand ambassador of its new Capsule Collection by Moschino (she was involved with the project till the end in November 2014); with Canon for the new Irista project (2015 Fall/Winter season); for Ebay she created several collections by Irene’s Closet on the Ebay Italy homepage and she also customized a bracelet for X by Trollbeads, sold on the brand’s website over the Christmas period. In November, Irene was chosen as ambassador of Florence in Emilio Pucci‘s project “Cities of the World” which involved 6 cities around the world, and she has been an ambassador of Florence in the project #omegainmovement by Omega for the Fall/Winter 2015 season. On 4th November 2014, Cuoremio Rock by Irene Colzi, the capsule collection by Irene Colzi for Morellato, was launched. Social media work: Irene participated in the social project called “Une vita da social” together with Leonardo Pieraccioni in collaboration with the Polizia Postale to fight against online bullying; she supported the charity project “The Vintage Project” with Vogue Italia at the Barberino outlet and the Geox project for Valemour, the collection of Geox footwear created by young people with Downs Syndrome, and for “Amici di Chicco” to encourage the adoption of cats and dogs. In early 2015, L’Oreal Fructis Garnier chose Irene, along with Annalisa Scarrone, Federica Nargi and Real Time hair stylist Irene Greco, as ambassadors for “The secret beauty” project, in which they featured in videos and on the home page of the national web campaign. During Pitti she worked with Manila Grace and Sonia De Nisco, a new brand of the group, and later during Milan Fashion Week, she acted as an ambassador for the DHL Exported project for Nicholas K (whose collection was shown as part of the official MFW schedule) and for Anna Rita N as special guest at her Fall/Winter 2015-2016 collection launch party. Irene worked with OVS for a seasonal collaboration linked to the EXPO MILANO 2015, with video reports (May-October 2015); with ASOS for the creation of a video project on Christmas, presented on Irene’s YouTube channel; with Harmont & Blaine in Paris for the opening of their new city-centre boutique, and finally with Stoili, Pandora, Calvin Klein, Tod’s, Accessorise, K-Way, Nero Giardini, Timberland, Giorgia & Johns, Yoox, Dodo, Bally, Coccinelle, Falconeri, Motivi, Gianfranco Lotti, to name but a few. Amongst her roles in the world of beauty, Irene has worked with Lancôme for the launch of the new Miracle Cushion, with Dior for the Miss Dior campaign launch, and with Vichy, Paco Rabanne, Biotherm, L’Oréal, Sephora, and Yves Saint Laurent beauty (for all of 2015). She also created a video guided-tour for L’Occitane, shot in Provence, along with a her role as a brand ambassador for the launch of the “L’Occitane Box by Irene Colzi”, sold during Christmas 2015. In addition, Irene has incresed her partnerships with tourism authorities and accommodation facilities for tourism all over the world, working for the Beachcomber group in Mauritius, for Los Angeles, Las Vegas, NYC Company for tourism in the USA, for the french tourism office for Guadeloupe in the Caribbean, and for the tourism office of the Dominican Republic. She has worked for the Falkensteiner group, Mama Threls, Allegria Resort, Ritzlerhof Hotel (in collaboration with the Otztal tourism office) in Austria, the Renaissance Tuscany Il Ciocco Resort and Spa and the JW Marriott Venice Resort and GOCO Spa in Venice. In 2015, Irene restyled her Irene’s Closet YouTube channel, and she launched #IreneCClosetTV, consisting of lifestyle, fashion, travel and events coverage videos. Irene is also a Fashion Adviser and Stylist for the television programme Detto Fatto on RAI 2 for the Winter 2015-2016 season. Social media work: Regarding Irene’s social media presence, she, together with some of the most important Italian influencers, has been an ambassador of the “Gold for Kids” project by the Veronesi Foundation, to promote and sustain the search for a cure for children’s cancer. Irene’s fashion blog, ‘Irene’s Closet’, has been one of the most followed Italian fashion blogs for six years, and is growing in popularity every day. 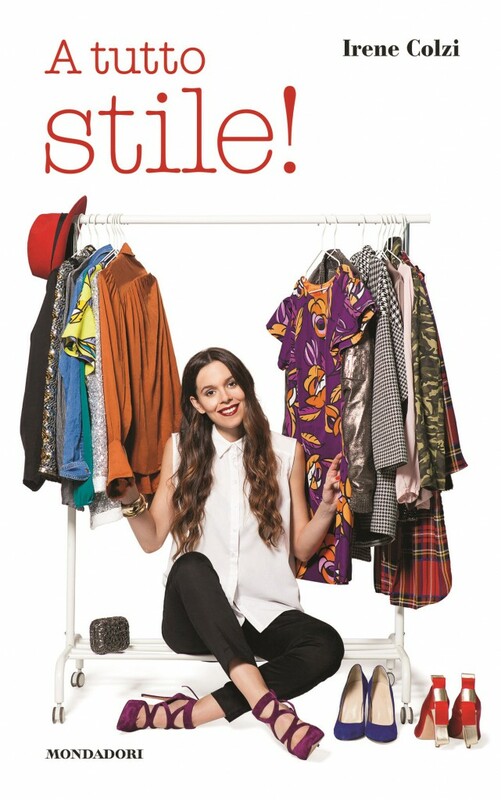 –> Irene’s Closet was nominated in the category ‘Best Style’ at the Stylight European Fashion Blogger Awards 2014 in Berlin, ranking among the top 3 in European category. Company UK (England) (February 2013 and August 2013), HONG KONG WEEKLY WEEK MAGAZINE (11 page spread), Female Mag Malaysia, Cosmopolitan (August 2012, November 2011 and March 2011), Gioia, Grazia Italia, TU Style (March 2013, April and June 2012, August 2010), Glamour Italia, Diva & Donna, White Sposa, Swarovski international Magazine, Life People, TM donna, Corriere della Sera, il Piccolo and Leggo. Vogue UK, Vogue Italy, Vogue India, Cosmopolitan Italy, Elle Spain, Elle Turkey, Elle.com, Fashionologie, Glamour.com, Glamour.de, Glamour.es, Style.it, Grazia Italy, The Sartorialist, MTV.IT, Pitti Immagine, Stylosophy, Fashion Magazine, Leichic borse, Te la do io Firenze, Paperblog, Pourfemme, Walk on Job, Cultura e Culture, La Repubblica.it and on the homepage of websites such as Silvian Heach, Coin, OVS, Stradivarius, Fruscio, Iceberg, Peroni, Dimensione Danza, Motivi, Oysho e Privalia. Mi piacerebbe incontrare una donna meravigliosa come te cara collega! sei grande, sei una bellissima persona, ti ammiro! ho un incarnato chiaro, occhi grandi, occhiali e capelli lisci castani. Mi consiglieresti un taglio che dica con queste caratteristiche? grazie! Ciao ho visto il tuo blog e mi sembra molto interessante e bello, complimenti per tutto. Volevo chiederti se per favore potresti visitare anche il mio blog è molto importante. Grazie.